I have been many things in my life - from fruit-picker, through postman, delivery driver, barman, professional actor, Office Manager, Trainer, IT Learning Manager and latterly, Head of Technology Assisted Learning in a global corporate. Now an independent consultant, speaker, tweeter & blogger, I have learned, and now know, 'a little about a lot, and a lot about very little'. I hope this blog will be of interest and stimulate some further conversations amongst us all. Friday 24/11/17. This morning's #LDinsight tweetchat hosted by @LnDConnect started by posing the question "How can we use game mechanics in the design of learning solutions?". The resulting conversation was a delight, exemplifying for me the value of participating in such online discussions. Much of the conversation revolved around the terminology used in the initial question and the subsequent explanations and expansion of meaning and context from some of the more knowledgeable practitioners, matched equally by initial professions of ignorance and/or confusion about the terminology and language used, by many other participants. I fell between the two, as usual. I am naturally curious about a lot of developments, techniques and tools in learning & development and learning technologies. But, as I say in my social media profiles, I know a little about a lot and a lot about very little. I have an awareness and a basic understanding about much of this stuff and good, practical, experiential knowledge and understanding of others. 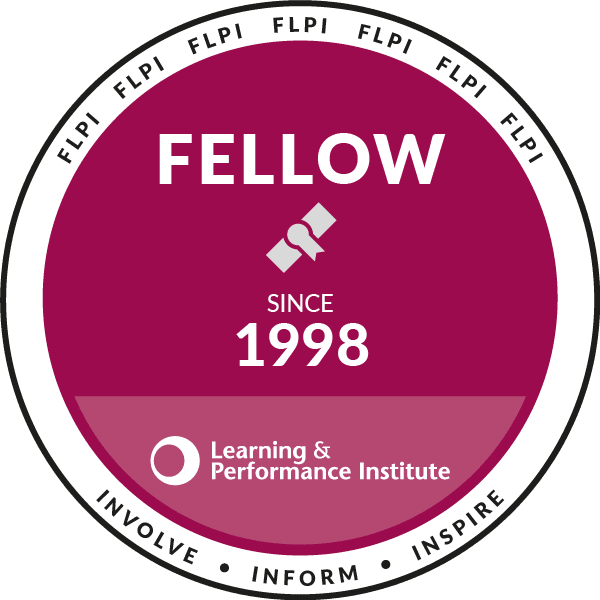 With 30 years' experience in training, L&D, Learning Technologies and HR, I am also able to reflect on that past experience, to look for relevance, context and examples and to share that information in the forum, hopefully in a relevant and helpful way. Frequently, my examples will come from the days before the term was ever used in training. They were just things that I or others did as part of our practice, as indeed, is still the case nowadays. We didn't have a name for them then. What we have now are labels. And how we love our labels. Labels have their uses. They help to encapsulate or headline detailed concepts, processes or procedures. They tend to be well understood by those who work in that particular field but are equally open to misinterpretation or regarded as excluding by those not in that particular cognoscenti. But, as I said at the start of this piece, this morning's tweetchat was a delight. The game mechanic 'experts' were generous in sharing their knowledge, in breaking down the underpinning facts, in providing sources and links to further information and in acknowledging and honouring the queries, challenges, suggestions and examples from the 'non-experts' in the chat. The cross-sectoral and cross-functional perspectives brought into the conversation from all sides just added to to and enriched the conversation. This is the stuff you miss if you don't participate in professional tweetchats! Thanks to @LnDconnect, who organise these weekly #LDinsight tweetchats, and to all the participants and contributors who make my Friday mornings sizzle. PS: You'll get the full content of the discussion and the detailed learning points in the follow-up curated Storify, or go to Twitter now and search for the hashtag #LDinsight.